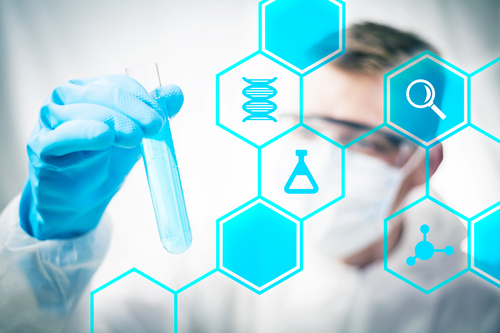 Clinical research relies upon an ongoing process that evolves as new data becomes available. Any and all medical treatments that are used now first underwent multiple phases of clinical studies in order to become FDA-approved. There is always a diverse variety of new information being discovered, which can be fascinating to keep up with. However, you shouldn’t have to conduct your own research just to figure out what it all means. We’ve compiled our own glossary of clinical research terminology, so you don’t need to have a career in clinical research in order to understand the basics. Clinical research is a type of medical research which uses human volunteers to develop and improve medical treatments. While clinical researchers will continue to evaluate the data post-study, clinical trials are simply the individual studies in which data is collected. Inclusion and exclusion criteria refers to the volunteer requirements for participating in a clinical trial. These factors can include age, gender, medical history, etc., and vary according to each clinical trial. Inclusion criteria are the factors which allow someone to participate as a volunteer, while exclusion criteria disqualify participation. A healthy volunteer is someone with no significant health problems related to the study, while a patient volunteer is someone with a diagnosis or health problem related to the clinical trial in question. Both types of volunteers are important for testing and helping to better understand treatments. Informed consent is an agreement (in writing) which includes a summary of the clinical trial, treatment procedures and schedules, and risks and benefits. It also lays out all of one’s rights as a volunteer, including the right to leave the trial at any time. There are four phases of clinical trials: the first phase being a test in a small group of 20-80 volunteers, the second with 100-300 volunteers, and the third with 1,000-3,000 volunteers. The fourth phase is continued research following the FDA approval. OCRC specializes more in Phase 1 clinical trials. A placebo is a part of a treatment which visually appears as the new treatment being investigated, but does not have any active ingredients. Volunteers generally do not know whether they are being given a placebo or active treatment; therefore the effects can compared side-by-side. A Principal Investigator is the person in charge of overseeing a clinical trial. In addition to PIs, there are also several other paths that can be taken within the clinical research career. Randomization is when two or more treatments are assigned to volunteers by chance rather than choice, comparing new treatments and standard therapy. This is done in order to prevent bias, such as when doctors assign volunteers to trial groups based upon their medical history or diagnosis. A single-blind study means that the participants in a clinical trial do not know whether they are receiving a placebo or the active treatment; a double-blind study means that both the participants and the researchers do not know whether the treatment is the placebo or not. This is done to reduce the risks of bias or a placebo effect, which can produce superficial results. Check out our Frequently Asked Questions. You can also contact us to inquire about current clinical trial volunteer opportunities.